As each day sets in, the human population increases as we continue to procreate. We give birth to our new species on earth that shares the same characteristics as we do, however not a hundred percent as we do. Some may tend to vary, making them not totally the same as we are. Before birth, the fetus is exposed to a wide range of risks which can lead to certain disorders. The disorders are most times specific to some certain parts or organs of the body and may lead to function amplification or reductions of the parts which were not normally affected by the disorder. And one of these disorders is Autism. Autism is a complex neurobehavioral condition that includes impairments in social interaction and developmental language and communication skills combined with rigid, repetitive behaviors. They are intensely preoccupied with one or more interests, inflexible and unwilling to change set routines, repeats motions or mannerisms (such as waving arms, flapping, or twisting) and are preoccupied with certain parts of objects. Because of the range of symptoms seen in the patients, this condition is now called autism spectrum disorder (ASD). It covers a large spectrum of symptoms, skills, and levels of impairment. ASD ranges in severity from a handicap that somewhat limits an otherwise normal life to a devastating disability that may require institutional care. Autistic individuals suffer a wide range of developmental impairments which makes them difficult surviving in a normal social environment. Most of them begin to exhibit symptoms very early from birth while others begin at later stages of development. One of the cardinal impairments shown by autistic patients is communication problems, which sometimes does not manifest in the individual until the communication demand of the environment exceeds their capabilities. An autistic child is very sensitive to the environment. From observation, most times they are seen to be commonly provoked by sounds, touches, smell or graphics which would seem normal to other individuals that are not autistic. They are found to have a stereotyped body movement like particular gestural patterns or walking steps. They also have an unusual response to people and are very resistant to change their routines. It is increasingly clear, however, that other areas of brain function are affected as well, including balance, movement, and memory. Because the condition runs in families, some researchers have put up that a certain number of yet specified genes come together to play a role in predisposing a child to autism. Risk factors like advanced aged mothers, certain drugs and chemicals and cases of some untreated metabolic conditions, rubella among others have also been reported to predispose to the disorder. The exact neurological cause of this condition, autism, is however not clear yet. But some researchers have suggested that it may be due to some defects in certain parts of the brain which interpret sensory inputs and process language. The quest to find the scientific or biological relation between autism and memory augmentation or suppression has not really been a progressive one. Reasons might be because of a few numbers of autistic individuals available or the difficulty associated with carrying out research on them. Autism as a neurodevelopmental disorder has a lot of features in the brain and social life of the affected person. Some scientists have however been able to bring out some hypothesis backing up the fact that there are a lot of impacts of autism on memory. Human intelligence has been studied predominantly from psychometric, genetic, neurological, and psychological perspectives, understanding well that there are effects on memory in human. Some will serve to augment intelligence, while others will rather suppress it. The disorder has long been characterized by relatively low intelligence as measured by most standardized tests. However, a suite of recent studies, has demonstrated that alleles(which is a variant of form of a gene that arise by mutation and are found at same place on a chromosome) for autism, that is, common alleles that each contributes slightly to its risk, overlap substantially and significantly with alleles for high. To a notable and well-replicated degree then, many “autism” alleles are “high intelligence” alleles. Biologically, there have been some important facts that have been found to correlate the impact of autism in memory. Intelligence is also notably associated with two additional factors that are relevant to the autism spectrum: sensory abilities and socioeconomic status. Positive correlations of autism with sensory abilities in the auditory, visual, and tactile domains have been well documented and replicated, across over the years. Such sensory tests include, for example, ability to discriminate closely-similar stimuli, temporal information processing skill, or sensitivity in stimulus detection that apparently reflect aspects of processing speed, focal-attention abilities, utter concentration strengths and ability to suppress certain stimuli considered irrelevant. In addition, there have been some substantial similarities seen in features found in highly intelligent people and in autistic patients. Large brain size and head circumference, especially in childhood but also adulthood, represent some of the best-substantiated phenotypic correlates of autism. Autism-linked increases in brain size have been shown to involve a simultaneous increase in the particular areas of the brain associated with high intelligence, which are; higher number of cortical neurons, increased hippocampus volume, increased brain growth rates in early childhood, increased rate of cortical thinning in an increased processing of more-local, detailed information. In some disease conditions like Schizophrenia in which these areas of associated with human intelligence are reduced in normal size which in general constitute a reduced brain growth, an associated reduction in IQ is likely to be observed. These findings provide evidence that trajectories of brain growth rate during middle childhood to adolescence are significantly associated with IQ, with an overall pattern of accelerated growth and accelerated pruning that matches trajectories reported in autism, though the timings of growth vary in early childhood. Elevated local connectivity in sensory regions of the brain has been proposed as the basis for sensory hyper-sensitivities in autism as well as hyper-developed attention to detail and systemizing pattern of life seen in autistic patients. In more physiological or neurological terms, memory is, at its simplest, a set of encoded neural connections in the brain. It is the re-creation or reconstruction of past experiences by the synchronous firing of neurons that were involved in the original experience. Considered together, these findings suggest that increased local brain connectivity in autism is linked with specific enhanced abilities or interests, such that component of general intelligence and memory on some specific issues are elevated. Many autistic individuals seem to possess remarkable perceptual memory. Some people may have different combinations of both. These brain network alterations in autism can be described most simply as involving increased modularity and parallel processing of the brain, which may enhance region-specific functions (such as sensory abilities and visual-spatial skills) but also lead to reduced general intelligence due to under-developed long-range connectivity in the brain. Coming from the social aspect of life, impaired communication skills have been significantly noted as one of the key features found in autistic patients, which makes them anti-social. This particular feature is well understood to be a minus in their social world, but to some, it turns out to be a plus in their intelligence. Memory is related to but distinct from learning, which is the process by which we acquire knowledge of the world and modify our subsequent behavior. During learning, neurons that fire together to produce a particular experience are altered so that they have a tendency to fire together again. For example, we learn a new language by studying it, but we then speak it by using our memory to retrieve the words that we have learned. Thus, memory depends on learning(not just learning, the time we put on learning) because it lets us store and retrieve learned information. But learning also depends to some extent on memory, in that the knowledge stored in our memory provides the framework to which new knowledge is linked by association and inference. This ability of humans to call on past memories in order to envisage the future and to plan future courses of action is hugely an advantageous attribute in our survival and development as a species. So, autistic persons tend to have more time in concentrating on whatever to choose to do or learn, because they easily shy away from people or more rightful because of their anti-social nature. This fact has been backed up by their exceptional performances of autistic persons in some branches of studies like, mathematics, physics, chemistry, medicine, and others that require serious studying time. This finding is of especially notable interest given that autism is characterized, on a general diagnostic basis, by increased attention in details to areas they found interesting, difficulties in switching of attention out of where they are focused, and increased stimulus of “over-selectivity” on specific aspects of their physical surroundings they consider of value. A large body of evidence has shown that sensory discrimination and special sensory acuity abilities are commonly enhanced in autism. the role of sensory input as a limiting step in general cognitive ability, upon which all further neurological components of intelligence depend on. Some studies have shown that autism risk in offspring is positively associated with high parental intelligence and high socioeconomic status. It has also been found that greater than half of autistic children come from highly intelligent families with high levels of educational, socioeconomic and occupational achievement. Other studies report links with low socioeconomic conditions or no associations. The degree to which biases, confounding factors and contributing facts mediate these positive associations still remain in the dark. However, despite their excellent rote memory, the effect of autism on memory is not totally a conclusive one. Autistic individuals are very forgetful of some things especially the ones they don’t place any value on. They tend to show some lapses in recalling activities that are not systemized or not part of their routine. For instance, they may forget what they need to buy at the shop, but they are unable to forget the clothes someone was wearing or the arrangement of the furniture in the house they moved from many years ago. The question that tends to be confusing is; if their memory is so good, as they are found not to forget – if not impossible – for them to forget, why can’t autistic children answer the simplest questions, such as: ‘Who talked to you at school today?’ since it been a commonly observed phenomenon that autistic persons takes time to answer the direct question sometimes or may not answer at all. The answer may lie in the difficulty they have searching their own memory and retrieving information wanted. While retrieving information (whether to answer a question or prepare a response) they have to ‘play’ the whole piece in their memory to find the right ‘word’ image, situation, or sound to stimulate on their memory to recall the appropriate answer. Children with autism, when compared with children that are not, have shown to have poorer memory for complex information (many individual elements or one complicated element) in both word and picture form. In essence, the children with autism found it hard to remember information if they needed a cognitive organizing pattern to aid recall or if they had to detect such an organizing element in the information itself especially when it is not a routine to them. Observations have shown that autistic children tend to be very good at remembering specific details of a story, for example, but had difficulty comprehending its meaning. Or they performed well on tests measuring spelling and vocabulary but had trouble understanding complex figures of speech. Many autistic children are unable to recall memories unless they are triggered. They often cannot get access to their stored information without being triggered. However, if cued or prompted with particular words, intonation, gestures, or surroundings they may astonish their parents and even themselves with the knowledge they have accumulated. They seem to have no conscious control on their ‘database’ (memory) and are dependent on the ‘right triggers’ to set them on the right path. Also, children with autism also had poor working memory for spatial information or remembering over time where something was located once it was out of sight or when an object that should trigger off the memory is not present. Although working memory for verbal information was fine, a test of recall of a spatial sequence easily distinguished between children who are autistic from those who are not. Spatial working memory depends on a specific region of the frontal cortex that is known to be dysfunctional in autism. Despite these impairments, children with autism did not have global memory problems. They showed good associative learning ability, verbal working memory, and recognition memory. Because their memories differed in only a few specific ways, as memory in autism appears to be organized differently than in normal individuals — reflecting differences in the development of brain connections within the frontal cortex. To encapsulate it all, individuals affected by autism have a different pattern of brain structure when compared to those who are not affected. As seen in some disordered persons who use their part of the body not affected to compensate for another. For instance, people who lack hands tend to develop their feet to use and carry out almost similar activities like those which could have been done with hands. This could point to the fact that individuals who are autistic in particular or other disorders may be able to use powerful memory to compensate. Evidence for compensation by declarative memory comes from several sources. 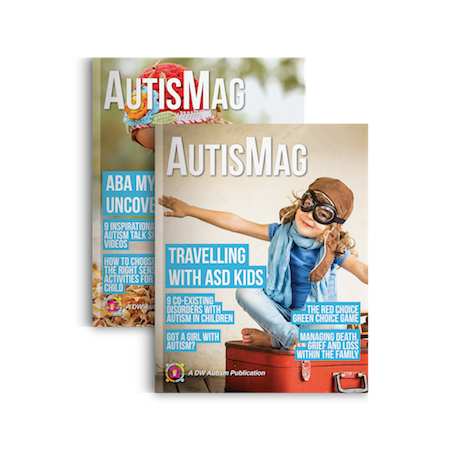 Behavioral evidence has suggested that individuals with autism or other disorders often learn compensatory strategies explicitly, by consciously mastering the steps involved. So, in general, they lack certain things but then use other things like powerful memory to compensate for it. Although autism has different induced changes in the life of its victim which all might not be fully understood, one thing that remains certain is that autism despite its disadvantages, still has some useful impacts particularly in the neural development, which one of them is on memory. So, yes, autism does have an impact on memory. Shaeri (alias Ree) is the Chief Editor of AutisMag. She is responsible for managing the editorial calendar and quality assurance for AutisMag. Almost all stories, that eventually get published on out platform has her seal in terms of news and presentation quality. Shaeri's tireless efforts have been instrumental to our success in being able to delight our readers . Follow Shaeri's work.